Our client lounges have the best amenities and facilities for your visit. A clean, comfortable, and functional lounge is one of the many ways we like to add value to your experience. Scheduled maintenance keeps your Mazda in prime condition. When your Mazda requires attention our Factory-Trained staff will keep your vehicle performing at its best, using only Mazda brand parts and accessories. Our facilities are designed and built to service your Mazda conveniently and efficiently. When you bring your Mazda into our state of the art Service Center, you know your vehicle is being serviced with only Original Mazda Parts and Mazda approved equipment. Plus applicable taxes. 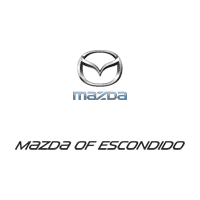 Valid only at MAZDA OF ESCONDIDO. Cannot be used with any other applicable offer. Mazda vehicles only. Please present coupon at time of write-up.